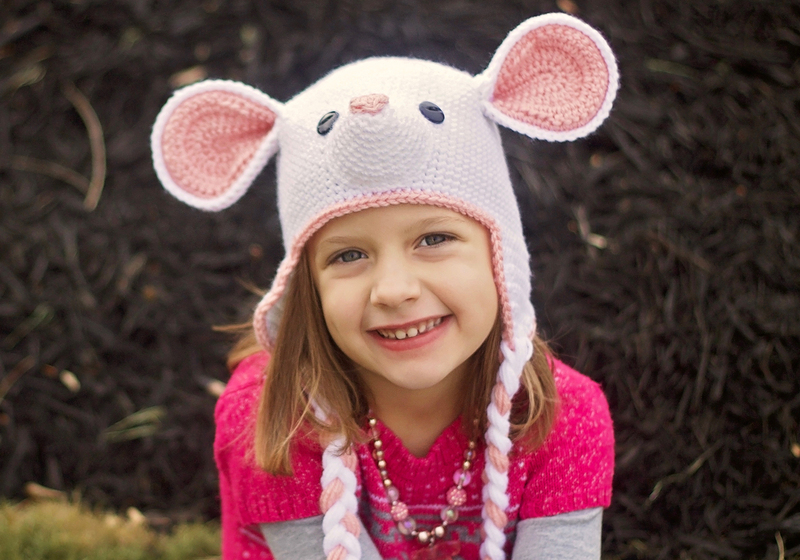 This adorable mouse hat is the perfect photo prop, gift, or just a cute hat to wear in the cold. Make some for all the kids to match! 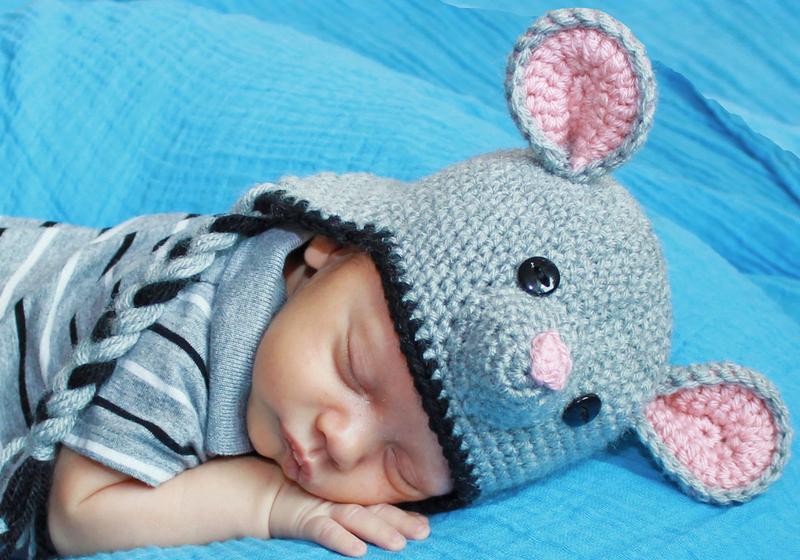 The adorable mouse hat would also make a cute addition to a Halloween costume. 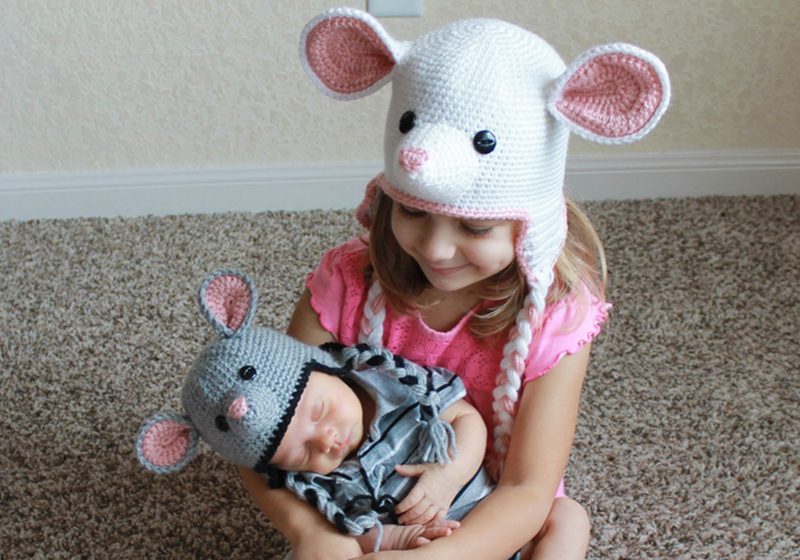 With these detailed instructions, even those with little crochet experience can find success! Skills: Single crochet, half double crochet, double crochet, slip stitch, single crochet decrease, working in rounds, increasing, decreasing & sewing. 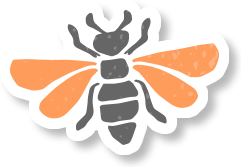 It also includes a cluster stitch which is explained in the pattern. Hooks: You will need a 3.5 mm (E), 3.75mm (F), 4 mm (G), 5 mm (H) & 5.5 mm (I) hook IF YOUR GAUGE MATCHES MINE! You may not need to use every hook size listed. Hook sizes depend on what size hat you make, but all sizes require an (I) hook for the hat base. I used Vanna’s Choice Yarn. For the main color you will need one ball of yarn. Very small amount of black yarn, embroidery floss or thread for buttons. 2 black buttons between 1/2″ and 3/4″ depending on size you make. Tapestry needle with large eye and sewing needle with small eye to sew smaller buttons.